Whilst we try to avoid unnecessary procedures, sometimes surgery is needed to alleviate pain or improve your pet's quality of life. Older pets and pets with various medical issues have an increased risk with anaesthesia. With the right team, the risk of an anaesthetic can be reduced. At Melbourne EyeVet, we take anaesthesia very seriously. Whilst the majority of patients have routine uncomplicated anaesthetics, some patients need specialist care. In such cases, we ask the help of a specialist anaesthetist, Dr Leah Bradbury. anaesthesia and critical care at the University of Liverpool in the UK in 2003. 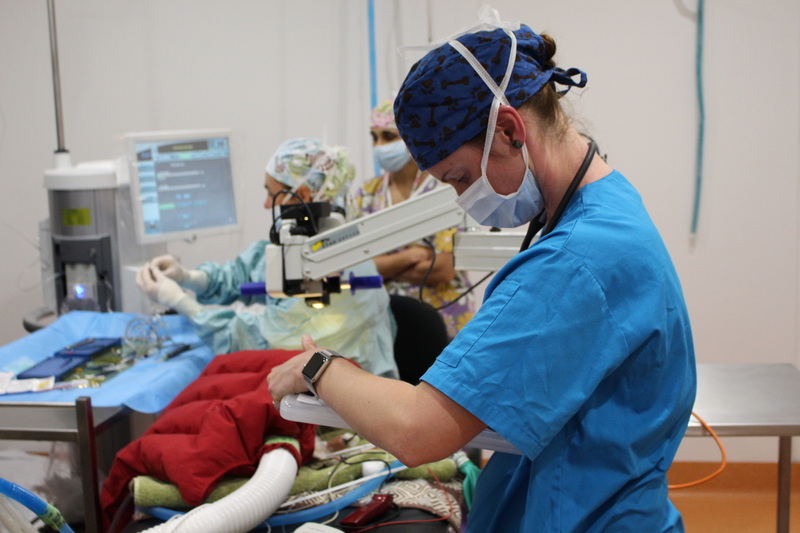 During this residency Leah was a awarded a Royal College Certificate in Veterinary Anaesthesia. In 2008 she became a Diplomat of the European College of Veterinary Anaesthesia and Analgesia by examination. Following completion of her residency she returned to work in Australia at the University of Melbourne where she led the anaesthesia team for 5 years. Leah then relocated to Charles Sturt University in Wagga Wagga where she was involved in clinical work, teaching and research into animal welfare. Leah remains an adjunct senior lecturer for Charles Sturt University. She is also actively involved in a number of education programs for both veterinarians and nurses. Please let us know if you have any concerns about your pets anaesthetic. ​Anaesthesia care does NOT stop after the procedure is over. Ongoing monitoring of heart rate, respiratory rate, temperature, blood glucose and fluid therapy are essential for fast and safe patient recovery.